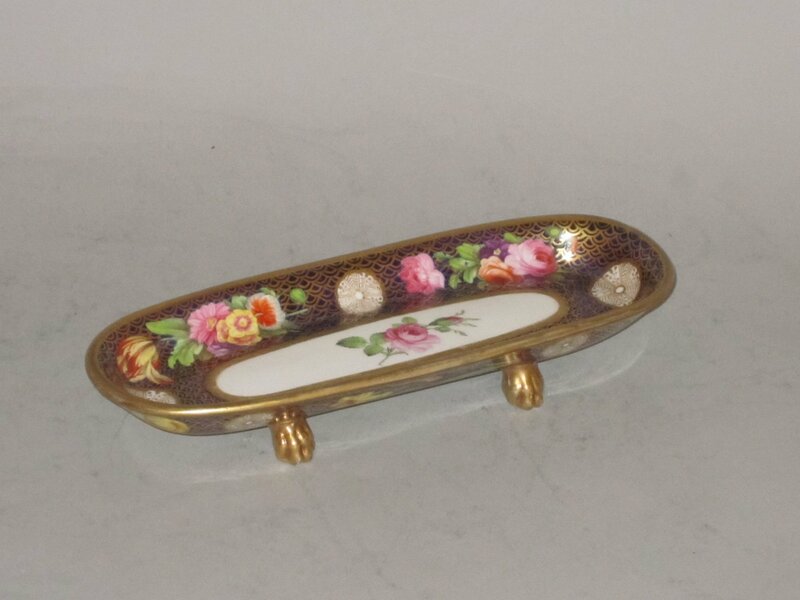 Spode porcelain pen tray. Circa1815. A GOOD SPODE PORCELAIN PEN TRAY, PATTERN 1166, CIRCA 1815. Of rounded oblong dished form, and raised on four gilded paw feet. Marked in red script under: SPODE 1166. Spode pattern number 1166 was introduced circa 1806 and was one of the most sumptuous designs produced by Spode. Painted by hand with all over sprays of brightly coloured flowers and gilded mons, reserved upon a cobalt blue ground with graduated gilded scales.